Your contribution to our online community allows for growth, friendship, and entertainment for our members. If you do not follow this thread title format, moderators will edit your title appropriately for you. The following information and guidelines have been over the past seven years of experience by our aerobatic community. These tips will help you run a successful and quality enriched air show or aerial event. Launch opening thread for show two to one month away from show date. Posting a show with less than a month until show date will typically not get enough marketing to inform audience of the happening and for performers to prepare. 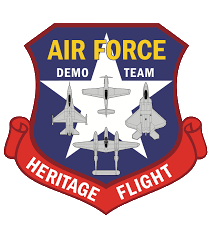 The official air show thread should include date, time, YS server IP, Teamspeak server IP, description of show, how to sign up, contact details, and as much additional information to help out your potential audience. Make your official show thread attractive and well organized. Send a press release of the initial announcement of the show to Scarecrow via private message. We can get can announcement on the front news section of YSFHQ if applicable. Keep current updates on your thread. If you want a top notch air show with lots of coverage, it's good to post updates every two days and every day near the upcoming show date. It's better practice to host a one day show on a Saturday or Sunday than a two, unless you have audience dedication, performers, personal time, and stamina to organize and execute a two plus day show. Event hosts typically need to find their own narrator for music and commentary. There are a very small handful of community members whom are available to be leased out to announce your aerial event. Events without narration/music typically do not go well and it is the responsibility of the event host to ensure narration and music is provided. Have your YSFlight server online an hour before your event begins. Join lock the server fifteen (15) minutes prior to your first act. To keep random users entering your airspace/server during an air show, be sure to only unlock the server for participants in the act to join. Run your event via a YSFlight Console Server which is the most up-to-date from http://www.ysflight.com. To watch and visually coordinate the event, the event host should run a YSFlight client to connect to the designated server. To reduce lag, ensure that the YSFlight server and the Teamspeak server are ran off completely different networks. For air shows, ensure you have a variety of acts and performers lined up within the schedule. Also, any promotional material such as small posters, graphics, etc. will help add more visual appeal to your show. To help with marketing, be sure to add your event as well on the YSFHQ.com Events page as it will be added to the website calendar. You can also private message press releases on your show to Scarecrow to be added onto the front page of YSFHQ as headline news. If you have any questions about hosting an event, just let us know! We are willing to help you.